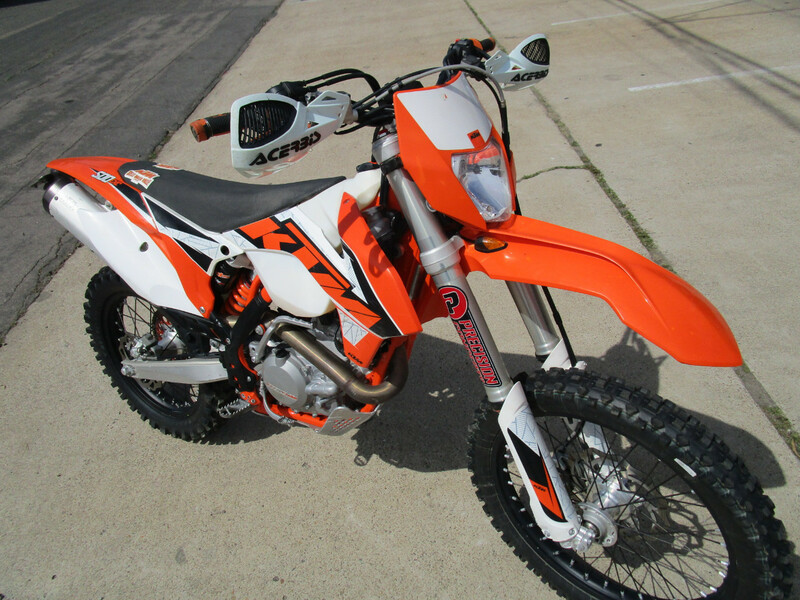 Hand guards, skid plate, and more with 2,301 original miles and outstanding condition. THE POWERHOUSE... 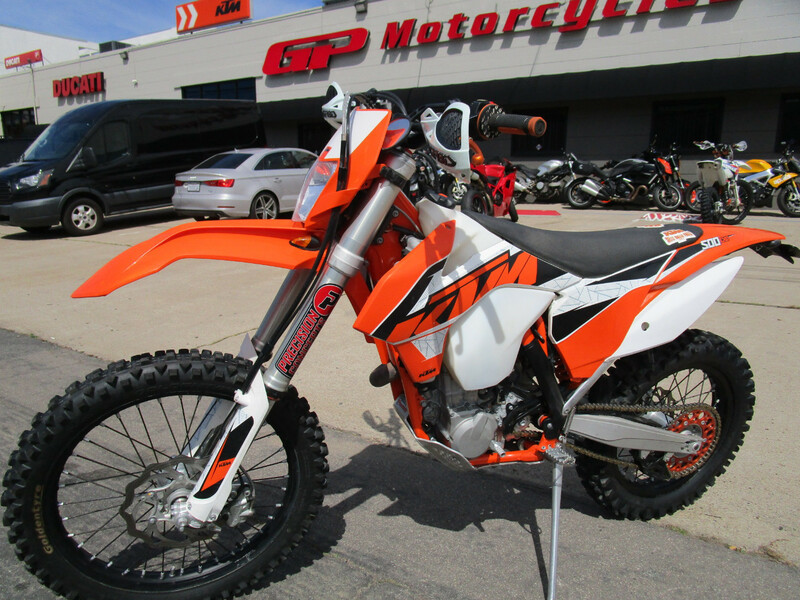 The KTM 500 EXC incorporates the enduro pedigree of the off-road only XC-W line with running gear for the street to create a dual sport like no other. 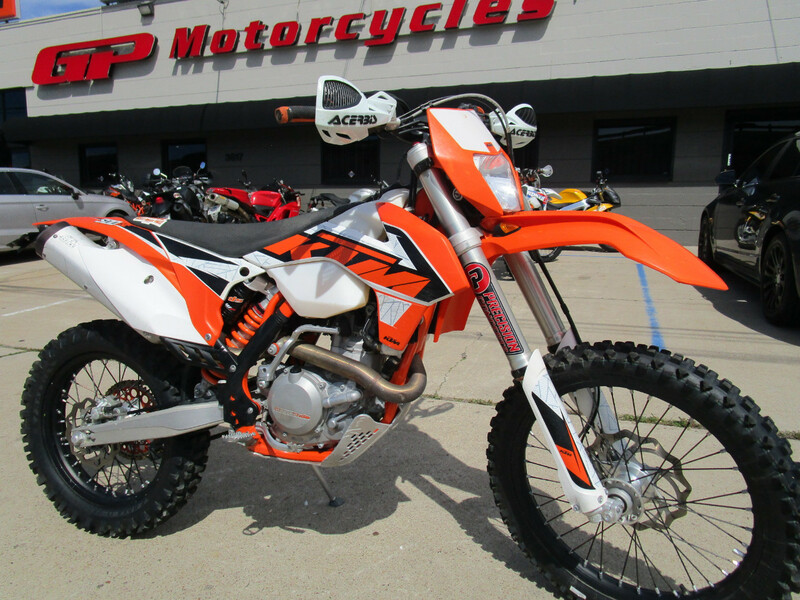 Powered by a 510cc SOHC engine, the EXC makes short work of the pavement without fatigue. 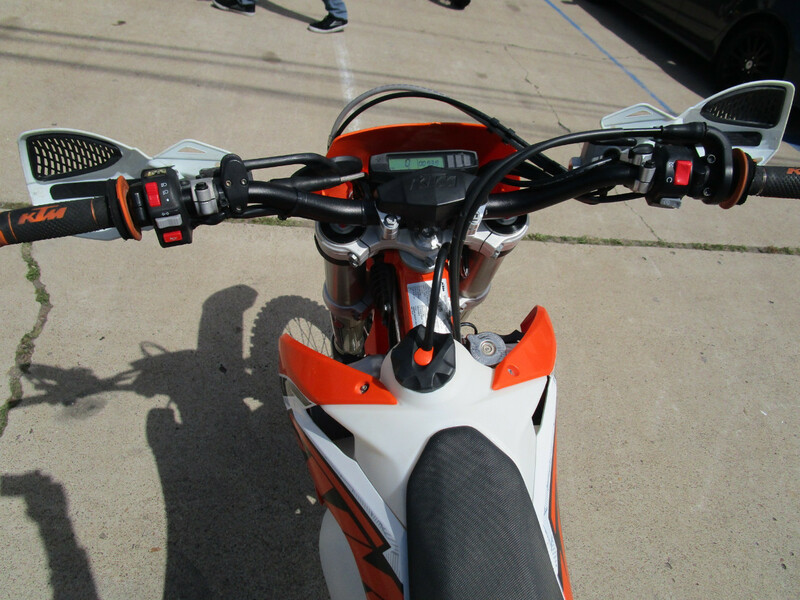 And when the street ends and the trail begins, it just gets better with playful handling and balanced suspension. 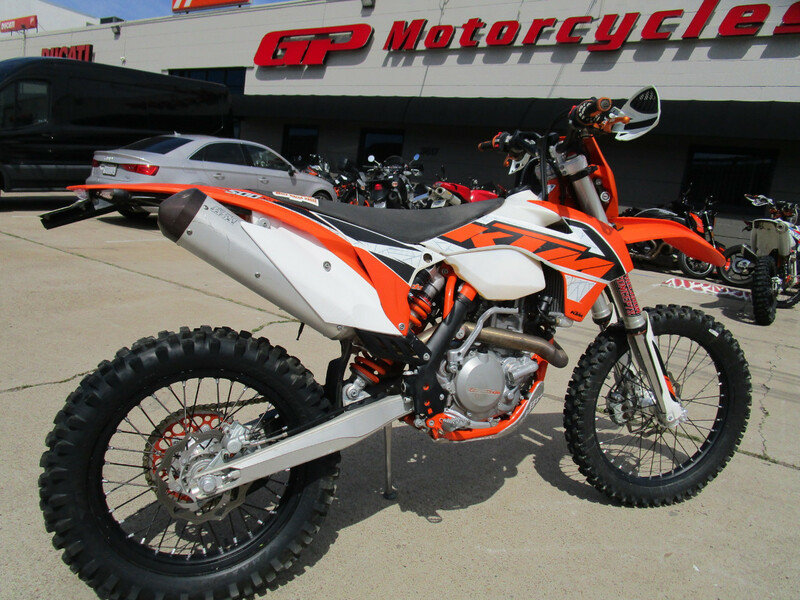 For 2016 this dual sport gets the same updates as the dirt-only XC-W models for even better performance, handling and reliability. Riding the 500 EXC means you don't have to compromise off-road prowess for street capability; you can have your cake and eat it too.